Stop lugging around that extra propane tank. 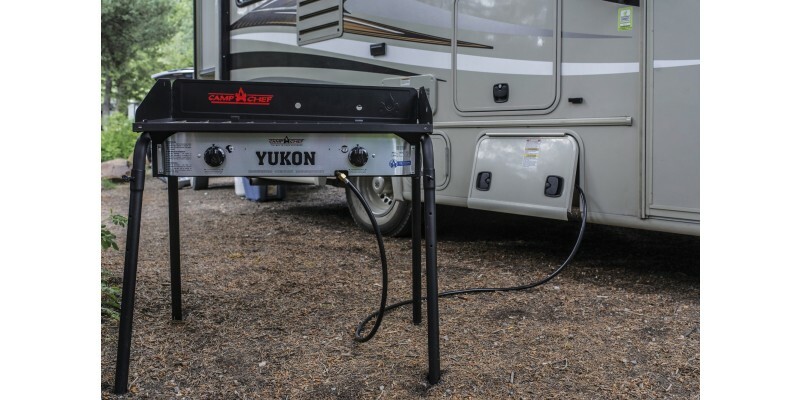 Now you can connect your Camp Chef stove directly to your RV's propane. No need to take up space with a separate tank for your stove. 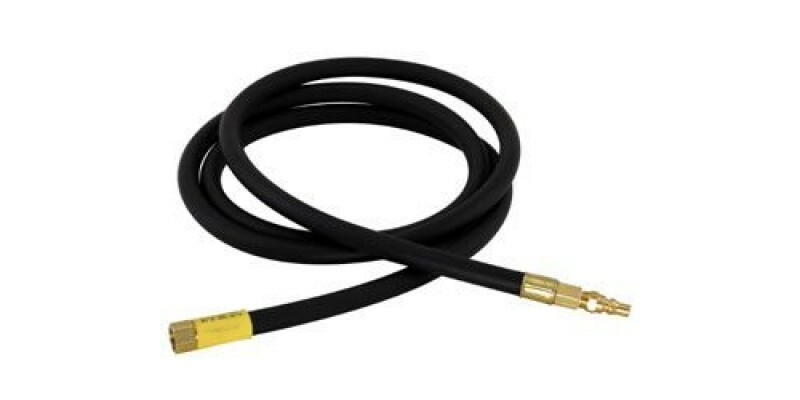 Simply attach your Camp Chef stove to your RV's propane directly with this 8' connection hose. Note: Most RV's built after 2004 come equipped with a quick disconnect with shut off. 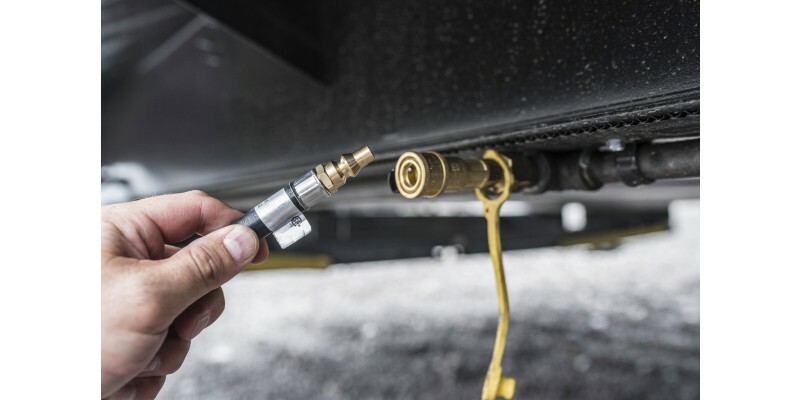 RV owners who's RV is without this quick disconnect outlet should consult a professional gas plumber and/or a RV service center before attempting to hook up outdoor gas appliances to your RV. The hose has a 3/8 FIP fitting for connecting to the Camp Chef Stove. The hose has a type 250 male quick connect fitting for connecting to the type 250 female quick connect on most RV's. RV Connection Hose is rated 5.0 out of 5 by 2. Rated 5 out of 5 by R from great to connect your stove to the RV LP connection works excellent for connecting the Yukon directly to our Winnebago Mini Plus RV without neg effect on the stoves operation. Uses the regulator on the RV to control gas pressure. 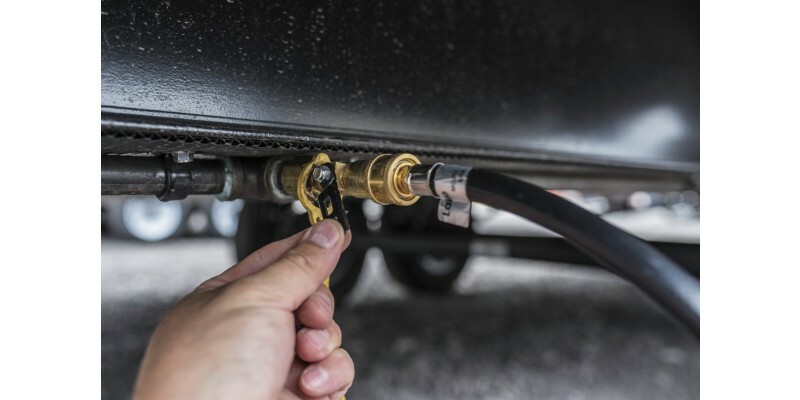 Just remove the LP hose with attached regulator that came with the stove and replace with this LP hose and you are ready to connect to the quick disconnect on the RV. Rated 5 out of 5 by Leo from Works perfect with my new Ranger two burner stove I've been searching for both a stove and quick connect hose that work together. This works perfect with my new Ranger two burner stove.